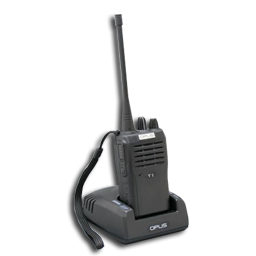 The Licensed Opus T2 walkie talkie is primarily a business two way radio designed from the ground up to be a commercial entity. This unit has good output power linked with being very robust and a fantastically functional design that a licensed radio usually has. But one of the things that sets the T2 apart from many others is it's competitive pricing structure. New and improved audio resolution and enhanced privacy features. The T2 also has new technology to reduce interference from other systems. Lastly as well as being easy to use, the T2 has lots of optional accessories - which could be a make or break for a two way radio in the rough and tumble world of business communications for some sectors. Check out our new online web site at: TWOWAYRADIOSUK.CO.UK where there is a tremendous number of radios available all with full accessory lists. 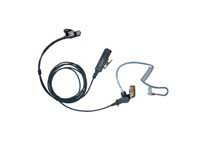 We sell and stock a wide range of accessories for all Opus wireless radios.